Winter time in the Pacific Northwest is a time when many golfers stick their clubs in a closet and don’t touch them again until spring. That might make sense to some golfers since the weather is cold and wet. But there are plenty of golfers like this group at Twin Lakes Golf and Country Club in Federal Way who have no trouble playing golf in the winter. 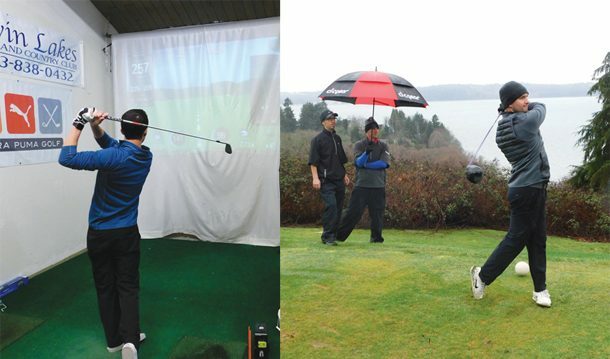 Another way to stay sharp in the winter is practicing inside on a simulator (right), like Matt Russell is doing at Twin Lakes.